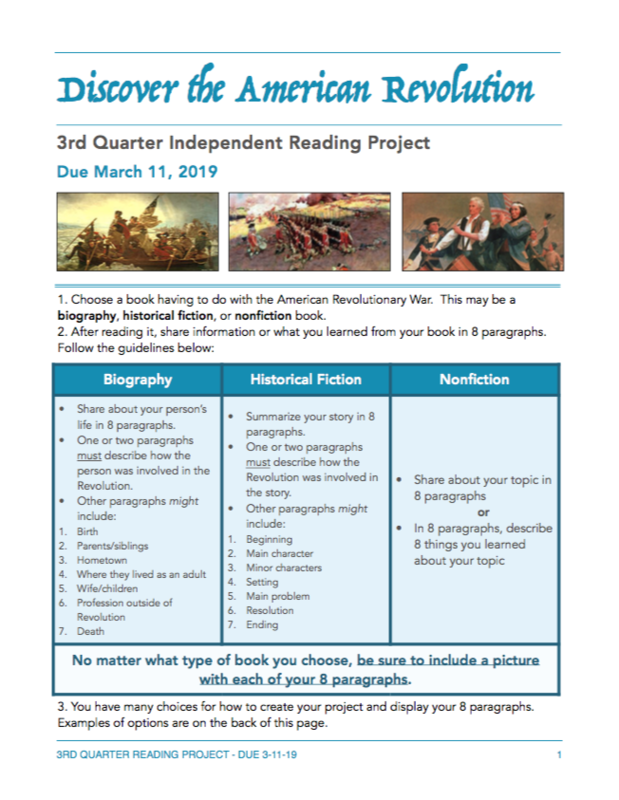 During this project, students will broaden their understanding of the American Revolution by reading a book of their choice about this important conflict. Books maybe nonfiction, biography, or historical fiction. 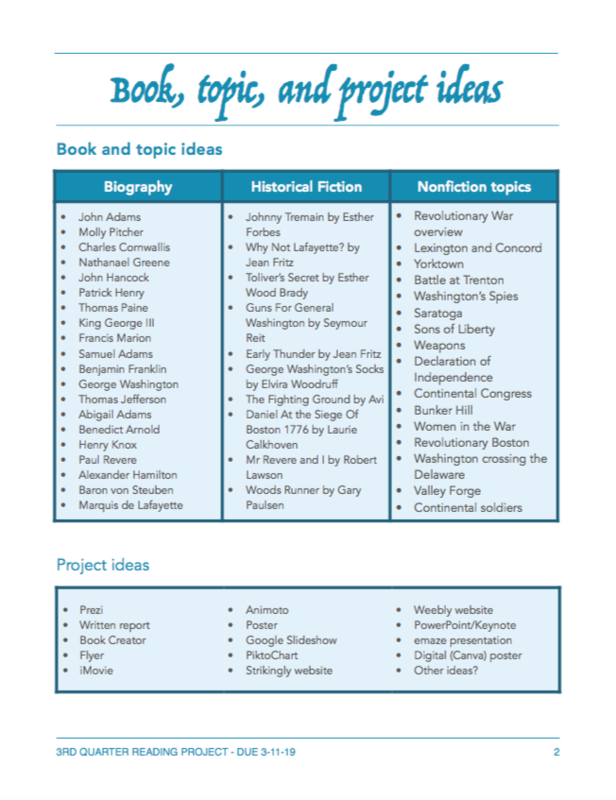 Students will collect information from their book and divide it into eight chunks. Each chunk, about a paragraph in length, must be accompanied by a picture and presented neatly in a style of the student's choice. Suggestions are below.